Don’t know if you’re a soccer fan or not, but it was hard to miss the news that Jose Mourinho lost his job as Chelsea Football Club manager last week. This was just seven months after he led them to the Premier League title. But this season, they have lost nine of their games out of sixteen and are in danger of being relegated. If you’ve ever attended one of my training sessions or heard me speak, you’ll know that I’m always on about the human/business model. 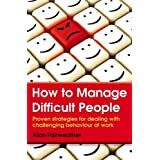 This is usually in relation to dealing with staff or customers. In any interaction that we have with other people, be it written or verbal; it can take place on two levels. These interactions can be between the people you work with – your staff – your colleagues. Or between you and your customers or clients. Or it could be between you and your partner, your children, or any other people in your life. Interactions will always take place on a business level. For example – you walk into a coffee shop, ask for a coffee and that’s what you get. Or – you ask a member of your staff to do a particular task, and that’s what they do. Or – you deal with a customer enquiry and give them what they want. These are all business interactions. However, if you can add a human level, then it will make the interactions much more positive. You’ll have happy and engaged staff, happier customers who keep coming back, and your coffee break will be so much improved. However, many people fail to realise the importance and the value of human-level interactions. Some managers think it’s about being nicey-nicey and touchy-feely, and they often see it as a sign of weakness. Dealing with people on a human level is not just about being nice. It’s more about – listening skills, using the right words, being aware of your tone of voice and your body language. It’s about being empathetic and accepting that other people may see things differently from you. Does Jose know about the business side of football; the tactics, the training, how the game must be played? Does he know about all the human aspects of dealing with players? I’m not sure he does. Perhaps he should have read this…. This entry was posted in communication, Customer service, difficult people, motivation, sales and tagged Body language, confidence, Customer Management, difficult people, leadership, management, motivational speaker, Sales. Bookmark the permalink.